Window Film Temporary Window Protection 24" X 600' is a temporary, yet extremely effective way to protect windows from interior plastering and exterior stuccoing, paint oversprays, mortar stains, and certain acids. It acts as a barrier of protection for your windows for up to 60 DAYS. Removal is as simple as lifting the film from the window glass and/or trim and discarding with no damage or residue left behind. Clean-up is a breeze. Window Film is a tough, 2 mil. 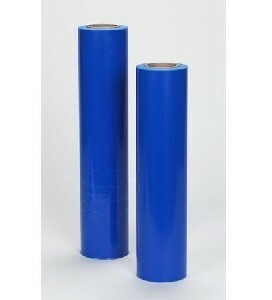 polyethylene film made with an environmentally friendly, water based acrylic adhesive applied to one side. The film is designed to stick to substrates such as plastic, finished metals, wood and aluminum, without any damaging effects upon removal.